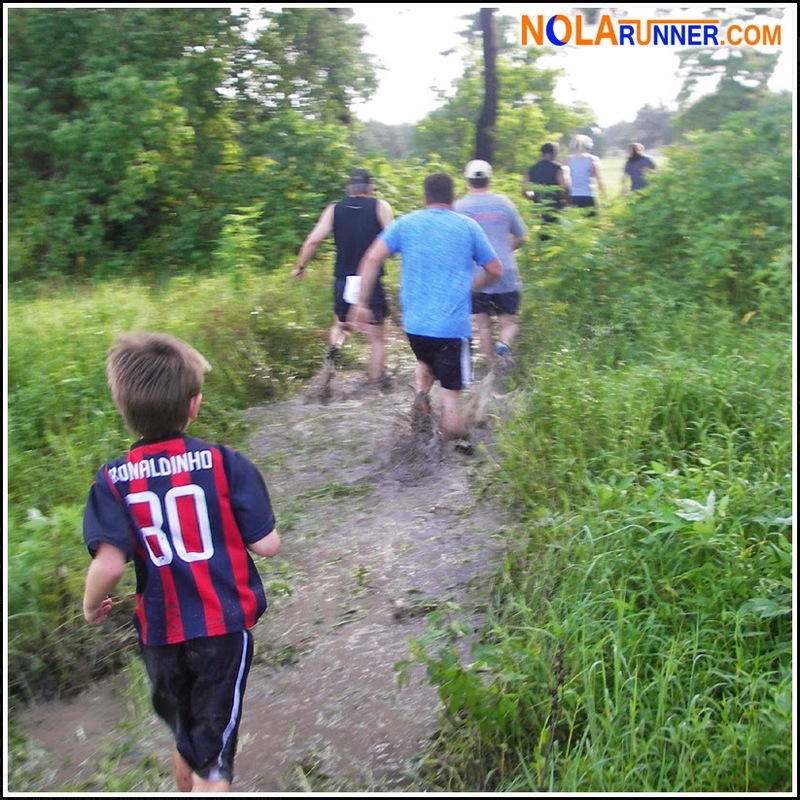 On Saturday morning, nearly two hundred runners capped off the NOLA Trail Run Series in City Park. The Coyote Chase Trail Run was the shortest race in the series; however, those two miles included some of the biggest challenges put before participants. The end of last week was plagued by several rainy days, but Saturday morning brought sunshine and the return of high humidity. There was little chance for the puddles on the Coyote Chase Trail to dry before race time. I had correctly chosen to wear an old pair of shoes, but questioned my decision to wear white socks. I knew neither would survive. I decided on the best plan of action for tackling a trail run with a course comprised of mostly wet grass, puddles and slight uneven inclines. That method is slow. Sure footing is more important to me than a fast race time, and I didn't feel like having mud for breakfast. The course is a giant loop around an abandoned golf course on the City Park grounds. The path encounters bridges, water hazards (man-made and not), sand traps overgrown with foliage, and bunkers that double as hills. Also seen during the run are non-indigenous palm trees, graffiti covered gazebos, and the tent residence of a homeless person who didn't stick around to cheer on racers. The course is tough, but really cool. Not knowing what awaits you around the next turn makes for an interesting, yet challenging race. 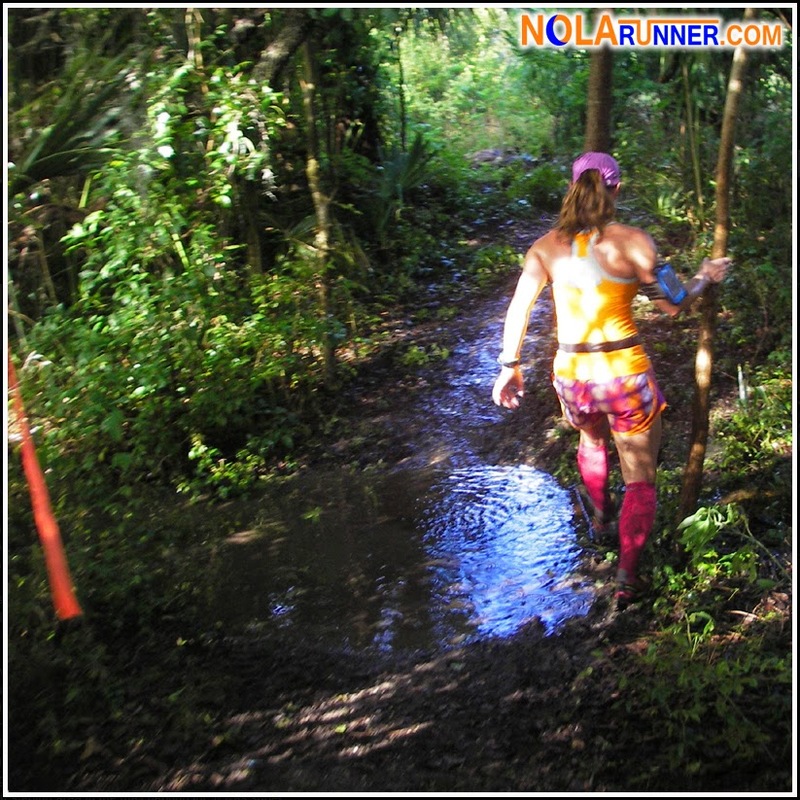 It's my favorite in the NOLA Trail Run Series. After I squished across the finish line, I claimed the pint glass awarded to finishers of all three races in the series. I then removed the timing chip from the back of my bib, and walked around the finish line to take photos of participants who were headed through the last mud pit obstacle. What resulted was the great gallery of photos below. 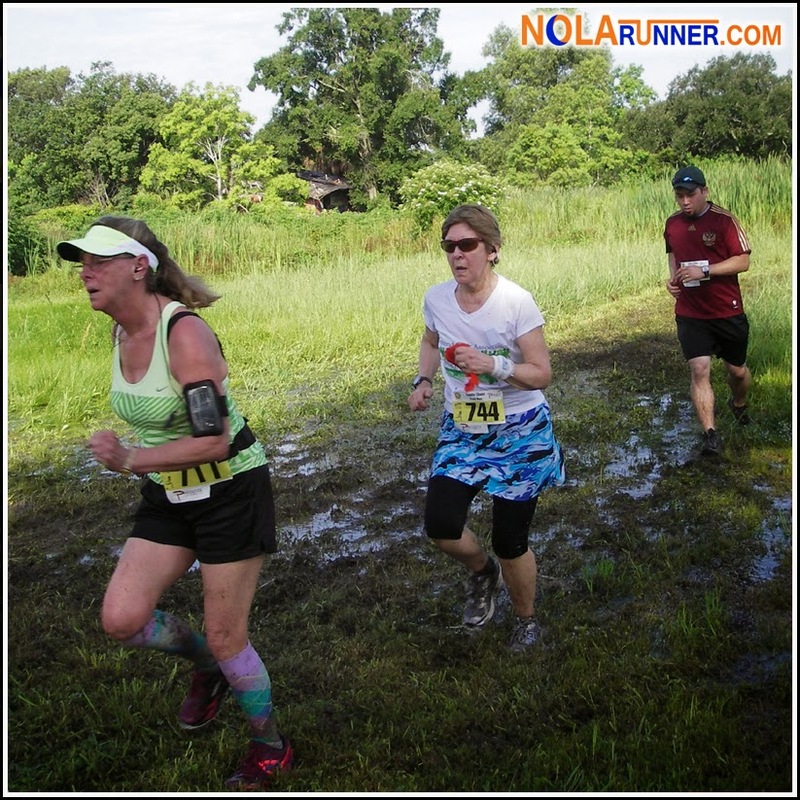 Last week I mentioned how the NOLA Trail Run Series is a no-frills group of races. I still believe that this minimalist approach is good for these events; however, I'm hoping that the finisher award is something different in 2015. The pint glass is nice, but it's going to end up mixed with an ever-growing Bulldog collection that fills many New Orleanians' cupboards. Does anyone have suggestions that could be passed on to race organizers for next year's finishers' award? Warriors and Spartans were long preceded by trail runners. Before there were mud runs, there were races like these. The challenges that come with getting off the concrete can be intense, and these races are a great reminder as to why I know I'm not cut out to do any endurance runs that leave a smooth paved surface. For complete results from the Coyote Chase Trail Run, click HERE. Check out the photos from the Coyote Chase Trail Run in the gallery below. Tag your friends in the gallery if you see someone you know. And if you can't see the gallery, LIKE the NOLArunner Facebook page HERE. Great recap. I really, really want to run this course—it sounds so interesting and cool! Hopefully I'll be in town for this next year. Thanks Katherine! You had much more important athletic events to attend over the weekend. Maybe next year.